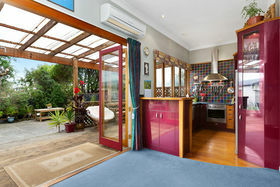 Just a quick stroll to the beach, you'll love coming home to this spacious bungalow at such an enviable address. 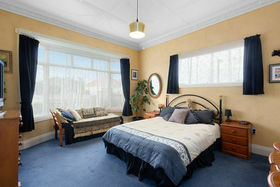 On a low maintenance section, this home comprises three very spacious bedrooms with ornate ceilings, large aluminium windows and plenty of light. 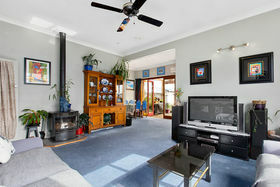 The open plan living area boasts a sunny north westerly aspect, as well as heatpump and gas fireplace. 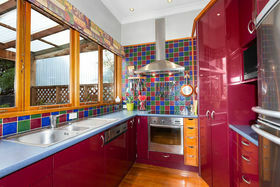 The well-appointed kitchen has feature tiles and bi-fold windows opening out to a large entertainers decking area and courtyard. 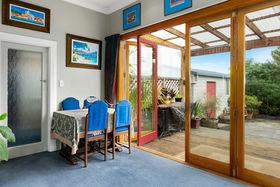 This warm home has a sunny aspect, is partially double glazed and is low maintenance. 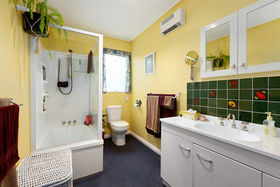 A central bathroom inside as well as a powder room just off the living space. 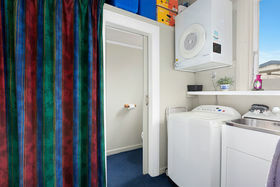 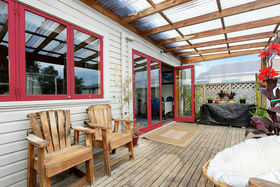 There is plenty of storage inside the home as well as an additional storage unit at the rear of the property. 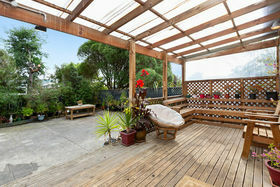 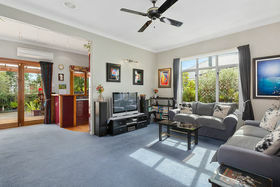 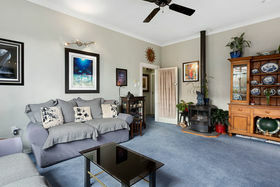 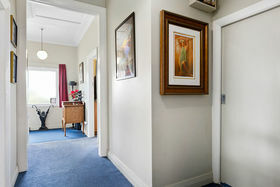 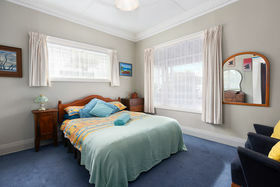 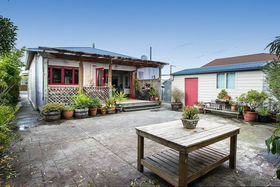 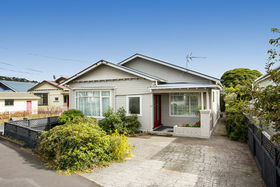 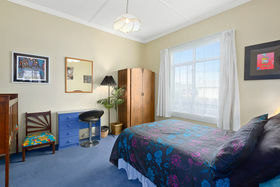 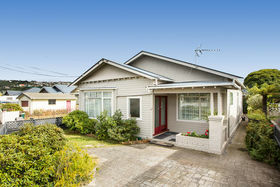 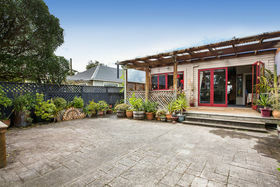 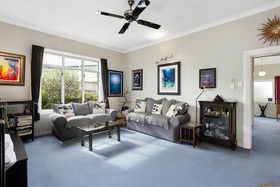 If you have been looking for a warm spacious home in close proximity to St Clair beach then look no further.